ACGAM is a fairly new company that formed up in Asia, with the name a shortening for Action Game, and they decided to focus on PC peripherals for their product line. 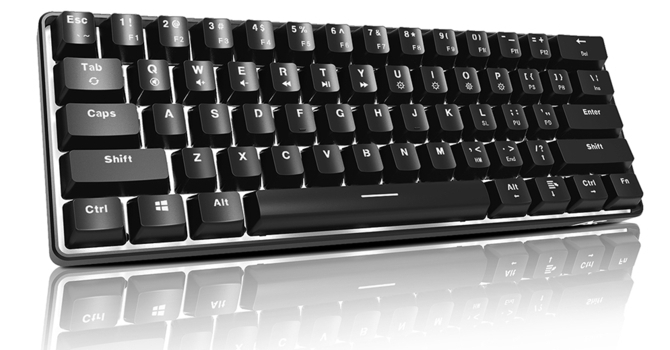 This is an extremely competitive market in that I alone have experienced keyboards from over 50 different companies thus far already, but based on where most of the action is when it comes to manufacturing and design, they do have a good starting point. I also noticed an aggressive marketing campaign in online communities, including in the western half of the globe, to where I had actually heard of the brand even before they contacted me about a review here. They currently have two each of mechanical keyboards, mice, and mouse pads, and given the other was based off a keyboard design I had covered here already, it made sense to go with their AG6X keyboard. Thanks again to ACGAM for providing us with a review sample. It was interesting to see a new company go with a full-size keyboard first and a 60% form factor keyboard after that. The former is a safe bet with a vast majority of the customer base used to the form factor, but offering the AG6X 61-key (or 63, depending on the region) keyboard does help them participate in a less crowded market. Indeed, I can count on my hands the number of non-artisan keyboards in this size and even here, a lot go with metal cases and thick PBT keycaps with little to no backlighting. The ACGAM AG6X goes the other route with a plastic case to keep costs low and hopefully pass those savings on to the customer and adds white backlighting to the entire keyboard. 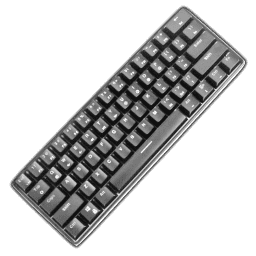 There is also a software driver for the keyboard, which aims to provide more customization options that will be quite important on a keyboard with fewer keys than most. So let us begin the review with a look at the specifications below. 0.56 kg / 1.24 lbs.